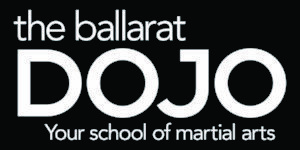 The Ballarat Dojo is your school of martial arts. Through practice of Karate and Brazilian Jiu Jitsu, The Ballarat Dojo provides the opportunity for you and your family to learn real martial arts and self defence in a fun, safe and respectful, yet challenging environment. With a philosophy based on traditional martial arts principles, and a training methodology developed for a modern context, we are here to help you along the paths of personal growth, physical development and effective self defence. The Ballarat Dojo caters to all ages and levels of experience, from raw beginners who want to make friends and improve their fitness, to more experienced martial artists wanting to further build on their current foundations. This is a chance to do something positive for yourself, surrounded by others with a similar mindset. Training in martial arts is very much an individual journey, so it doesn’t matter how fast or slowly you progress, you will be going at exactly the right pace for YOU!